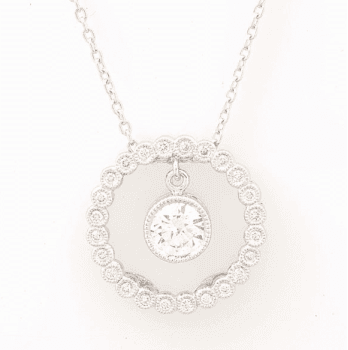 Total Carat Weight: Diamond weight 0.33ctw With sublime sophistication, this vintage-inspired 18k white gold pendant features a center charm with a 4.0RD center bezel-set diamond. 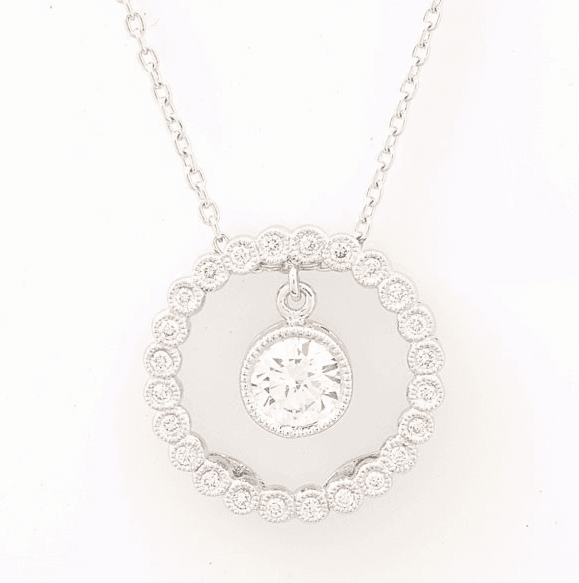 It is further adorned with a circle of pavé diamonds framed with milgrain detailing. Available in 14k or 18k White, Rose or Yellow Gold And Platinum.